On Saturday, January 26, 2019 at 8pm, Grammy-winning classical guitarist Jason Vieaux returns as soloist with the Symphony in C at Walter K Gordon Theatre (314 Linden Street, Camden NJ). On this program entitled Mediterranean Journey, Vieaux performs Joaquín Rodrigo’s Fantasia para un Gentilhombre (1954), led by Music Director Silian Kirov. The concert opens with Luigi Boccherini’s Symphony No. 6 in D minor, “La casa del diavolo” and concludes with Tchaikovsky’s Souvenir de Florence, Op. 70 (originally composed for string sextet), which is a loving look at beautiful Florence, one of the composer’s favorite cities. Grammy-winner Jason Vieaux, “among the elite of today’s classical guitarists” (Gramophone), is the guitarist that goes beyond the classical. 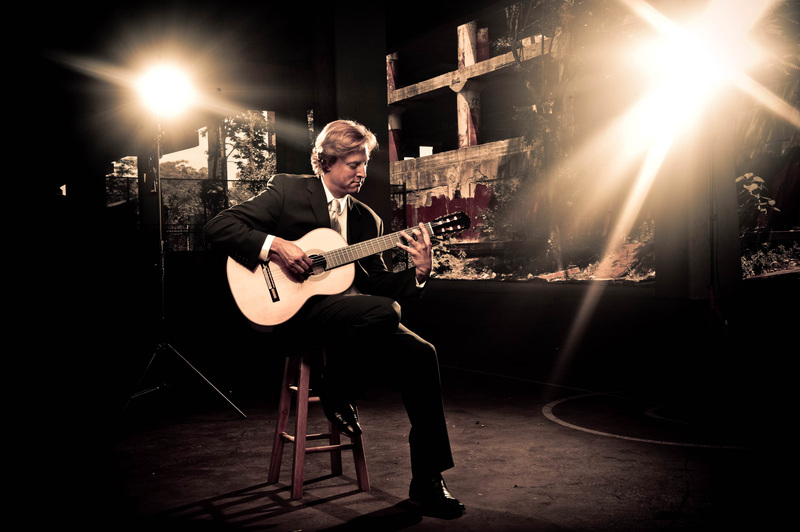 NPR describes Vieaux as, “perhaps the most precise and soulful classical guitarist of his generation.” Among his extensive discography is the 2015 Grammy Award winning album for Best Classical Instrumental Solo, Play, from which the track “Zapateado” was also chosen as one of NPR’s “50 Favorite Songs of 2014 (So Far)”. Jason Vieaux has performed as concerto soloist with over 100 orchestras, including Cleveland, Toronto, Houston, San Diego, Buffalo, Auckland Philharmonia, and Orchestra of St. Luke’s. Recent highlights include performances at Caramoor Festival as Artist-in-Residence, Chamber Music Society of Lincoln Center, Philadelphia Chamber Music Society, Curtis Presents, Phillips Collection, National Gallery of Art, Buenos Aires’ Teatro Colon, Amsterdam’s Concertgebouw, New York’s 92Y, and Ravinia Festival. Vieaux’s recordings slated for release in 2018 include a new album with the Escher Quartet featuring Boccherini’s Guitar Quintet and Aaron Jay Kernis’ 100 Greatest Dance Hits (Azica) and Jeff Beal’s “Six Sixteen” Guitar Concerto with the Norrköping Symphony Orchestra (BIS). In addition to his Grammy-winning 2015 solo release Play, his previous albums include Infusion (Azica) with accordionist/bandoneonist Julien Labro; Ginastera’s Guitar Sonata, on Ginastera: One Hundred (Oberlin Music) produced by harpist Yolanda Kondonassis; Together (Azica), a duo album with Kondonassis; a recording of Astor Piazzolla’s music with Julien Labro and A Far Cry Chamber Orchestra; Bach: Works for Lute, Vol. 1; Images of Metheny; and Sevilla: The Music of Isaac Albeniz. Vieaux was the first classical musician to be featured on NPR’s popular “Tiny Desk” series. Symphony in C is one of three professional training orchestras in the United States preparing musicians and conductors who are on the cusp of world-class careers through concert, educational outreach and professional development programs. Performing at the Gordon Theater at Rutgers Camden Center for the Arts in Camden, New Jersey, Symphony in C serves over 90,000 people annually through its critically-acclaimed concert series, educational outreach programs and radio broadcasts. Symphony in C has been designated a Major Arts Institution by the New Jersey State Council on the Arts and strives to continue making artistic, educational, and economic impact on a regional, national and global scale.